WASHINGTON – The magic of Verify starts with our viewers. We fact-check your questions about the viral things you read on social media. Well, we hear you, and that is 100 percent true. Under 3 U.S. Code § 102, the president’s annual salary is $400,000. 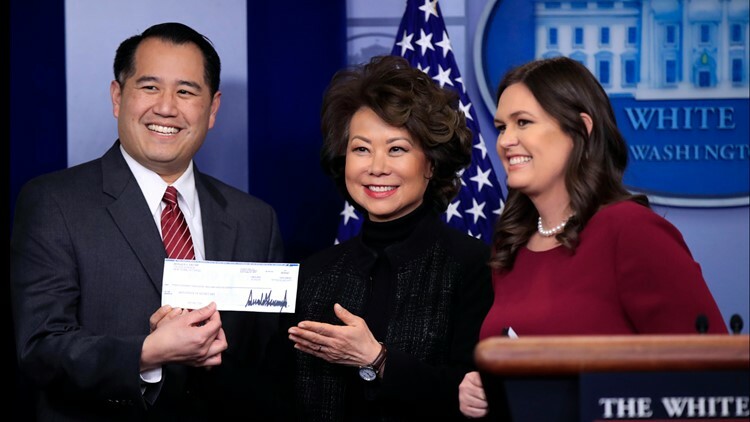 For the past two years, Trump has donated his salary to government agencies, during a televised press briefing with Press Secretary Sarah Huckabee Sanders. Trump has not yet announced where his last paycheck of 2018 will go. He is not the first president to donate some or all of his salary to charity. Our researchers analyzed Obama’s tax returns and from 2008-2015, Obama donated more than $1.2 million to charity. Between 2001-2007 former President George W. Bush donated $618,090 to charity.